You can receive a special online discount for booking your MOT today at one of our government approved MOT Centres. We can also assist with pre-MOT preparation to ensure your vehicle is in the best possible condition before your MOT test is carried out. We have hundreds of centres nationwide with the facility to service your oil and filter change requirements. This service can be carried out, while you wait and if you only need a top-up, we can arrange that too. 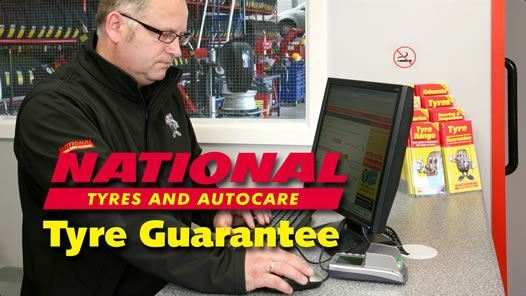 Then don't forget to check out our National Tyres special offers on brake pads, brake discs, steering and suspension parts including shock absorbers. Whether you're just looking for car tyre prices, a car exhaust or car battery quote, or even to buy tyres online right now, you're at the right place and were ready to help. Check your tyre pressures once a month. The correct tyre pressure will dramatically reduce tyre wear and fuel consumption.